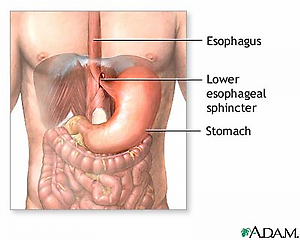 INDIGESTION–your digestive system is a complex miracle of activity. Stress, poor diet, toxicity and subluxations can compromise your digestive system. Chiropractic care and nutritional therapy are the most effective ways of reestablishing normal digestion. Covering up symptoms will not fix the problem. It will only allow the problem time to get worse. Tell others about chiropractic. DIET: HOW CHILIES CAN BE USED TO TREAT PAIN Chili peppers’ heat comes from capsaicin, a compound produced to protect them from fungal attack. When you eat a chili pepper, capsaicin binds to and activates heat receptor proteins called TRPV1, so even though you’re not actually in danger, your body thinks it’s being exposed to extreme heat. 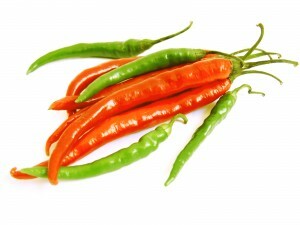 If exposed to capsaicin for long enough, your pain nerve cells will become de-sensitized to the painful stimulus. Capsaicin is available in pain-relieving creams and patches, and has shown promise for relieving shingles pain, osteoarthritis, psoriasis symptoms, and more. Capsaicin has both antioxidant and anti-inflammatory properties, and has also shown some promise for cancer, weight loss, and allergy symptoms. IN THE NEWS: Solutions for an overactive bladder Cut down-Caffeine in coffee, tea and soda can irritate the bladder and make the urge to go stronger, so cutting back may help. Drop the pounds- If you’re overweight or obese, losing weight can significantly improve your symptoms. “As the weight goes down, the pressure on the bladder goes down,” Ramin said. Do Kegels- “Performing Kegel exercises can reduce frequent urges to urinate,” said Dr. S. Adam Ramin, a urologist and urologic surgeon at Providence Saint John’s Health Center in Santa Monica, Calif. and the founder and medical director of Urology Cancer Specialists in Los Angeles. So contract, hold and release, and shoot for 30 to 40 Kegels a day. Bladder retraining- You can actually condition your bladder to function properly by teaching yourself how to suppress the urge to urinate. So when you feel like you have to go, do a Kegel instead and then try to wait before going the bathroom. Estrogen cream- Thinning of the vaginal wall as a result of a drop in estrogen during menopause can cause irritation and inflammation of the bladder. An estrogen cream can help and is safe for women, even those who have had breast cancer, because it doesn’t get absorbed into the blood stream, Ramin said. FUNNY BONE: If a lawyer and an IRS agent were both drowning, and you could only save one of them, would you: (1) go to lunch or (2) read the paper? This entry was posted in News and tagged acid reflux, Dr. keefe, Natural Healthcare, OSTEOPOROSIS, pain, tulsa chiropractor by DocJohn. Bookmark the permalink.